On Friday September 16, 2016, the Center for New York City Law at New York Law School hosted the 136th CityLaw Breakfast. The event speaker was New York City Department of Correction Commissioner Joseph Ponte. The event was specially sponsored by Capalino+Company. 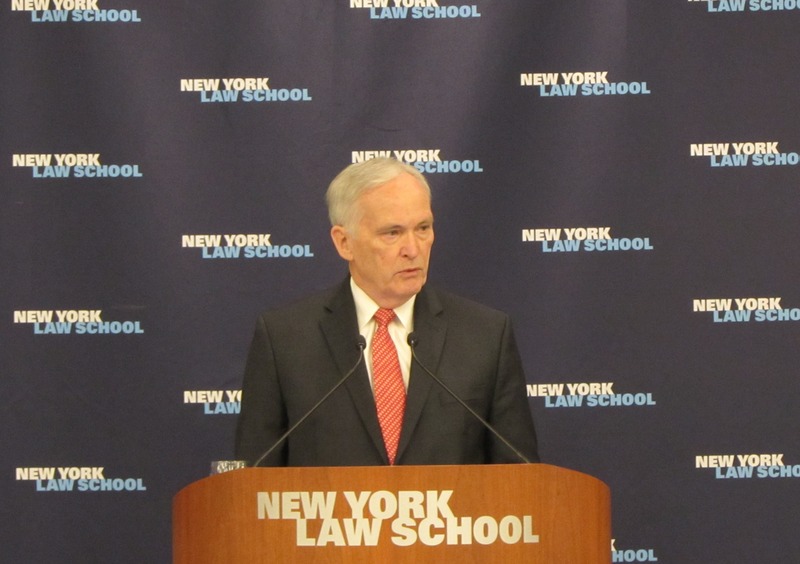 Commissioner Joseph Ponte was welcomed by Anthony Crowell, President and Dean of New York Law School, and introduced by Ross Sandler, Professor of Law and Director of the Center for New York City Law. He discussed the on-going reforms at Rikers Island and within the Department of Corrections. Commissioner Ponte laid out his 14-point Antiviolence Reform Agenda which included utilizing new technology to keep weapons, drugs and contraband out of jails and designing more comprehensive recruitment plans. He emphasized that the safety of corrections officers is paramount to his reform efforts, and that with the safety of officers comes the safety of inmates. Further, Commissioner Ponte stressed the importance that education plays to prevent inmate idleness, improve reintegration into the community and lower the risk of recidivism. He also discussed improvements made within Corrections to handle mentally ill inmates—moving away from segregation and instead using clinical settings to improve behavior. Commissioner Ponte finished by taking questions from the crowded room.